In July 2011, Keith Winter, founder of homewetbar.com, an e-commerce retailer of unique gifts and home entertainment products, expanded into the men’s gifts market with a new e-commerce site,greatgiftsformen.com. He is now proud to announce a significant milestoneone year in business. Greatgiftsformen.com sells unique gifts handpicked by gift experts and features an innovative shopping navigation to make gift buying easier. Shoppers are able to search gifts by personality, occasion, man space, price range, as well as choose from a wide selection of personalized gifts. Personalization, says Winter, is a huge draw for shoppers looking for that distinct, custom gift for a groomsman, father, best friend, or significant other. The site offers customers the choice to personalize or engrave hundreds of items of all different types. In 2011, Winter expressed his excitement over the launching of the new site: Shopping for men is difficult, and we hope to make it easier for people everywhere to find original gifts for the men in their lives. Over the past year, greatgiftsformen.com has maintained that goal and currently features over 1,200 products, with plans to continue expanding their product line into 2013. Greatgiftsformen.com is based out of Oklahoma and offers live online chat for product questions and purchasing or return inquiries. The site also offers a no-hassle return policy. We want to be the first place you come to when you are searching for unique gift ideas, says Winter. Founded in 2004 and headquartered in Oklahoma City, Oklahoma, the HomeWetBar family of brands is a family-owned online retailer of unique gifts and home entertainment products that operates two specialized gift sites: HomeWetBar.com and GreatGiftsforMen.com. The company prides itself in industry-leading customer service, expert gift picks and suggestions, and a unique and diverse selection of products. In 2011 HomeWetBar was awarded the Metro 50 award recognizing the fastest-growing private companies in Oklahoma city and the #54 fastest-growing retail company (#1258 overall) in the USA by Inc. Magazine. This entry was posted in Which Open Source Blog and tagged Business, Celebrates, GreatGiftsForMen.com, Year on March 11, 2013 by Administrator. In May 2012, SwimmingPoolSigns.com, an online retailer of signs for swimming pool safety, proudly celebrates one year of business. Swimming is one of the most fun and effective ways to exercise. SwimmingPoolSigns offers management tools to keep swimming a safe and fun activity, and encourages swimmers and pool facility regulators to take advantage of the anniversary promotions. Swimming is an activity that requires pool visitors to be completely present. According to the Center for Disease Control and Prevention (CDC)s website, children aged one to four have the highest drowning rates, with most occurring in residential pools. Aside from young children, swimmers may slip and fall on wet pool areas, end up swimming in a water area that is too deep, or dive somewhere shallow. Furthermore, hundreds of people enter and exit pools, leaving behind germs and sicknesses. Signs are a part of an excellent support system to maintain pool areas. SwimmingPoolSigns provides a wide range of pool signs to ensure all pool-goers are aware of rules. Pool Safety Signs are great allies to help lifeguards and pool officials, and divers will find depth markers and pool stencils. Different states have different sets of pool rules, which is why the sign provider extensively researched sign legislation for pool regulations for all 50 states and Washington D.C. SwimmingPoolSigns recommends utilizing heavy-duty weatherproof, rustproof, and waterproof aluminum signs that outlast the competitors cheap plastic signs. Though standard rules signs are important, SwimmingPoolSignss Funny Pool Signs are an entertaining product line. Signs such as We Dont Go Skinny Dippin, We Go Chunky Dunkin’, are hilarious options to decorate a pool. Additionally, the retailer also created an amusing cartoon character, “Swimmin’ Sam” to infuse playfulness into pool rules signs. We are thrilled to be celebrating one year of providing signs to keep swimming the enjoyable activity it is, said Rivka Fogel, Manager at SwimmingPoolSigns.com. Thanks to anniversary sales on everything from customizable templates to pool stencils, we truly believe that customers will find any pool-related product they desire. For more information, visit http://www.swimmingpoolsigns.com. SwimmingPoolSigns is the ultimate and authoritative sign source for every Swimming Pool owner – offering in-depth state-by-state analysis of the laws, durable metal signs that withstand constant exposure to sun and weather, free UPS shipping for orders over $ 25 and prices that are 40% below the traditional competitors. This entry was posted in Which Open Source Blog and tagged Anniversary, Celebrates, Promotions, Special, SwimmingPoolSigns.com, Year on March 4, 2013 by Administrator. KnowWare International, Inc., developer of the QI Macros Software for Excel, celebrates its 15-year anniversary. Founded with the goal of providing Lean Six Sigma software, books, training, and consulting to companies needing to improve their own products and services. KnowWare prides itself in offering affordable and reliable products and services, along with quality customer service. For the past 15 years, KnowWare International, Inc. has provided Lean Six Sigma software and consulting solutions to all types of organizations; including government agencies, large corporations, small businesses, hospital and medical facilities, and educational institutions. In addition, KnowWare publishes books and provides consulting and training to companies who want to improve quality and increase profits, said President, Jay Arthur. As a long-time member of the National Speakers Association, Arthur speaks at numerous conferences and businesses across the country, year round. The QI Macros SPC Software is compatible with Microsoft Excel 2000-2011 (PC and Mac) and is available for immediate download. The software includes 23 templates for project management including PM formulas, FMEAs, and work breakdown structure. which combines the speed and quality of the Toyota Production System (TPS). The software is an add-in for Excel which does the math and draws graphs required for Statistical Process Control (SPC). It also includes fill-in-the-blank templates for tools like Value Stream Maps, Ishikawa diagrams and dashboards for monitoring Core Measures. Download a 30-day evaluation copy of the QI Macros for Excel at http://www.qimacros.com/freestuff.html. For more information, see http://www.qimacros.com. This entry was posted in Which Open Source Blog and tagged Celebrates, Inc., International, KnowWare, Years on February 25, 2013 by Administrator. 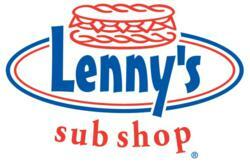 Lennys Sub Shop, the 150+ unit sandwich specialists known for great food and a very loyal group of social media followers, is pleased to announce its Lennys Gives Back Holiday Contest. Celebrating the giving spirit of the holiday season, the contest, which launches on December 3, 2012, asks Lennys fans to share a detailed story of someone they personally know who could use financial assistance during this special time of year. The $ 1,000 grand prize will be awarded to the nominated person determined to be the best recipient of this extra money for the holidays. Hosting these promotions and contests via our social channels is always a fun way to reward our most loyal fans; however, this time we wanted to empower our fans with the chance to do something wonderful for someone they know, said George Alvord, Chairman and CEO of Lennys. We feel like the Lennys Gives Back Holiday Contest is truly a win-win for our fans and the participants, and a way to celebrate the season in a meaningful way. This entry was posted in Which Open Source Blog and tagged Back, Celebrates, Contest, Facebook, Giving, Holidays, Lennys, season, Through on February 23, 2013 by Administrator. 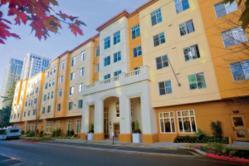 On Thursday, December 6th from 2pm 4pm, The Gardens at Town Square, at 933 111th Avenue Northeast in Bellevue 98004, hosts a Holiday Festival to celebrate parent company, Era Livings 25th Anniversary. This entry was posted in Which Open Source Blog and tagged Anniversary, Back, Celebrates, Gardens, Gives, Square, Town on February 23, 2013 by Administrator. Today, Zwoor.com launched a very special contest. Event planners can enter the email address, and the name of the event, for a chance to win a free event app. The weekly winner will get a free Zwoor Event mobile app for a conference, event, or meeting. Here are the details: The winner will be announced on Zwoor.com each Sunday in June, starting with June 9th, via a random drawing so enter now for a chance to win. And, enter early to have more chances to win. Enter now at http://www.zwoor.com/giveaway. The [Zwoor Event mobile app puts all Conference or Tradeshow materials, including agenda, logistics, speaker bios, meeting materials at the attendees fingertip, on their mobile device. Be that an iPad, iPhone, Kindle Fire or an Android tablet or phone, the content is available online or offline. Once the content is synched, all materials are contained on the tablet no connection required, even in an airplane. Real time feedback and rating of the topic is included in each agenda item, allowing an attendee to provide instant comments directly from the mobile app. All the materials are easily uploaded by the Meeting Planner, or by the Speaker or Exhibitor directly, via a simple to use browser interface at Zwoor.com. Attendees can also follow the speaker in Twitter or LinkedIn, signal their interest on participating on an agenda topic or visiting an exhibitor booth, tweet to the conference hash tag all from within the mobile app. Native Twitter integration, and pre-filed hash tags makes it easy for attendees to share news on the event. A personalized calendar on the mobile app provides a clear journey for the conference events. And, for the Event planner, solid analytics on engagements and connections, and business opportunities created, are provided via the backend reporting. Zwoor Event has several [security formats. A Conferences and Tradeshows materials intended to be shared publicly can be listed in the app as a public event, to be easily located by a user. For a Company or department meeting restricted to the company employees, or even a very private Event with highly restricted data, materials distribution is tightly controlled and uniquely identified. We are celebrating a significant milestone in our product, one hundred Events via our platform. 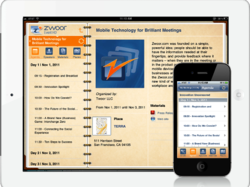 Zwoor.com provides to Conference and Tradeshow Meeting organizers an intuitive platform to manage event materials, speakers bio, event agenda and exhibitors profile, and share it to attendees mobile devices, be that iPads, iPhones or Android tablets. The mobile app provides an easy way to connect speakers and exhibitors to attendees, and attendees to attendees, in real time, during the event meetings, all via mobile devices, for an engaged conference and lasting connections. Paperless, real-time, engaged, efficient . said Ken Burns, External Relations, Zwoor.com. For more sophisticated surveys of the audience, the [Zwoor Survey app allows the creation and distribution of surveys, online or offline. The library of templates speeds up the creation of high quality surveys, be that for capturing intent to buy during product demos, or customer satisfaction in a trade show, conference or department meeting. Real time results sharing creates dialog, and increases the relevancy of the conversation. Both Zwoor Event and Zwoor Survey have free versions available, and are available for the iPhone, iTouch, iPad and the Android devices. For more information, visit Zwoor.com. Zwoor.com was founded on a simple, powerful idea: people should be able to have the information needed at their fingertips, and provide feedback where it matters when they are in the meeting or in the product presentation, with their mobile devices. We want to reinvent what businesses and individuals can do through the Zwoor.com mobile platform, made for a new kind of worker, a new kind of workplace and a new kind of interactions. Learn more about Zwoor.com, how were changing the way people consume information, interact, provide feedback and communicate and how you can be a part of it. This entry was posted in Which Open Source Blog and tagged 1500%, Apps, Available, Celebrates, Conference., Contest, Event, Four, Giveaway, Milestone, Mobile, Platform, value, Zwoor.com on February 20, 2013 by Administrator. Throughout the month of June, RevoStock, the original Stock Video Footage, After Effects Templates and Stock Music community celebrates their 6th Anniversary by passing special promotions and savings on to their customers and site members! 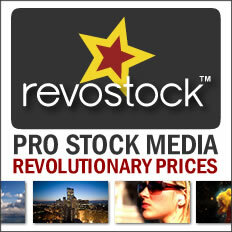 Since June of 2006 RevoStock has been constantly revolutionizing the Stock Media industry providing innovative products and ideas to make purchasing and selling Stock Video, Audio and Templates easy and affordable, from the advent of Editable Video Templates, to providing Stock Music, Sound FX, Stock Video and Templates all on one site. In addition, RevoStock is upping the ante by allowing users to download Stock Video and Stock Audio files of choice from their “Freebie Pool” with the purchase of select credit packages. This entry was posted in Which Open Source Blog and tagged After, Apple, Birthday, Celebrates, Effects, Footage, Motion, Music, Promotions, RevoStock, Special, Stock, Templates, Video on February 18, 2013 by Administrator. HealthcareSource, the leading provider of talent management solutions for the healthcare industry, today announced the successful conclusion of its 10th Annual User Conference, Talent Outcomes, held at Disney’s Yacht & Beach Club Resorts, Lake Buena Vista, FL. For three days (November 7-9, 2012), participants from healthcare HR departments across the U.S. gathered to participate in 50+ educational sessions on a wide range of issues impacting human resource professionals at hospitals and other healthcare institutions. 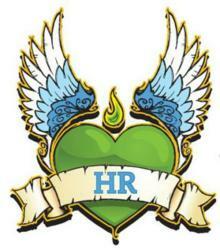 The overall theme of Talent Outcomes 2012 was “For the Love of HR.” Attendees and staff shared “the HR love” on social channels throughout the event and wore temporary “For the Love of HR” tattoos. Talent Outcomes 2012 also featured expanded opportunities for peer-to-peer networking, new educational sessions, a larger partner exposition and even more client-led sessions. This year, HealthcareSource client presenters blogged about their sessions prior to the conference, writing about topics such as physician recruitment strategies, improving the candidate experience and successfully implementing performance management software. This entry was posted in Which Open Source Blog and tagged 10th, Anniversary, Celebrates, Conference., Focusing, HealthcareSource, Love, Outcomes, Talent on February 6, 2013 by Administrator. The North Idaho HIV Planning Group (NIHIVPG) and The North Idaho AIDS Coalition ( NIAC) will host World AIDS Day events on Friday, November 30 and Monday, December 3. The groups will offer a free community celebration on the evening of Friday, November 30th from 7-9 pm at Miks Bar, 406 N. 4th Street, Coeur dAlene with a candle light vigil and a moment of silence at 9pm. The groups will offer free confidential 20 minute HIV testing and education from 10-1 at North Idaho College in the Student Union Building on Monday, December 3. All events are free and open to the public. World AIDS Day is celebrated on December 1 each year around the world. It has become one of the most recognized international health days and a key opportunity to raise awareness, commemorate those who have passed on, and celebrate victories such as increased access to treatment and prevention services. The theme of World AIDS Day is Getting to Zero. Zero new infections, zero discrimination, and zero AIDS related deaths. The NIHIVPG consists of professional community volunteers committed to help deliver supportive community awareness, new education strategies, and improve treatment for people living with HIV/AIDS in North Idaho. The group has participated in activities for World AIDS Day events in North Idaho for 5 years. The group also has helped coordinate HIV education in the Coeur d Alene middle schools and high schools. This entry was posted in Which Open Source Blog and tagged 2012, AIDS, Celebrates, Community, December, Event, Free, Idaho, North, November, World on February 1, 2013 by Administrator. As the United States prepares for the upcoming Fourth Of July holiday, Windward has released a new tool that celebrates a different type of independence freedom from the constraints of inflexible report designer tools. The Windward Product Tour highlights the advantages of creating report templates in AutoTag, a unique reporting solution that lets you design, format and edit reports and documents completely within the Microsoft Office interface while pulling data from a variety of data sources. The online demo, available in standard format or in high definition, guides users through creating reports of any style and structure using familiar Office tools. It demonstrates connecting to data sources, dragging and dropping data into templates, customizing stunning charts and graphs, and generating output with a single mouse click. It provides a good view of end-user independence that can only be found in an easy-to-use reporting tool. The AutoTag report designer is an add-in for Microsoft Word, Excel and PowerPoint. It allows companies to take their data from a wide range of data sources and insert it into free-form templates. The final product can then be generated in the Windward Engine, which is available for .NET, Java or the platform-agnostic Javelin server, and output in a wide range of formats, including DOCX, XLSX, PPTX, PDF, HTML, direct to printer, RTF, XLS, WordML, TXT, and CSV. The AutoTag Product Tour is available for download at http://go.windward.net/PartnerSocial_PTPR.html. Windward offers business intelligence, enterprise reporting, document generation and Web-based business intelligence solutions. Launched in 2002, Windward is the only full-featured, robust Java and .NET engine to use Microsoft Word, Excel and PowerPoint as a layout tool, putting template design and report and document generation power in the hands of the end user. Any Office user can easily and securely create reports and documents with almost no learning curve. Users can design reports in Word, Excel and PowerPoint. Additionally, OEMs and VARs use Windwards reporting component. Windward works by merging any XML, SQL or custom data sourceor any combination thereofwith a Microsoft Office report template. It feeds data into the template to create a what-you-see-is-what-you-get report or document that can be generated in DOCX, XLSX, PPTX, PDF, HTML, direct to printer, RTF, XLS, WordML, TXT, and CSV. Windward runs as a standalone application or in an enterprise computing environment. Also unique, Windward implements in hours, offers affordable server-based pricing, and offers prompt, fantastic technical support via a 24/7 support forum and support contracts. A free trial of Windward’s products is available at http://www.windward.net. The Windward user group spans 70 countries. User applications include financial statements, inventory reports, product-usage reports, purchase orders, invoices, training certificates, timesheets, and licenses. Other applications include reporting to meet requirements of Sarbanes-Oxley, Patriot Act, ARRA, HIPAA, Health Level Seven, IFRS, Gramm-Leach-Bliley, Basel II, and other U.S. and international acts and accords affecting financial services, real estate, government, and insurance industries and the consultants and integrators serving them. This entry was posted in Which Open Source Blog and tagged Banded, Celebrates, Design, Fourth, from, Independence, July, Report, Windward on January 31, 2013 by Administrator. Site Templates and Themes from $1 HTML, Email, WordPress, PSD, Joomla, Magento!